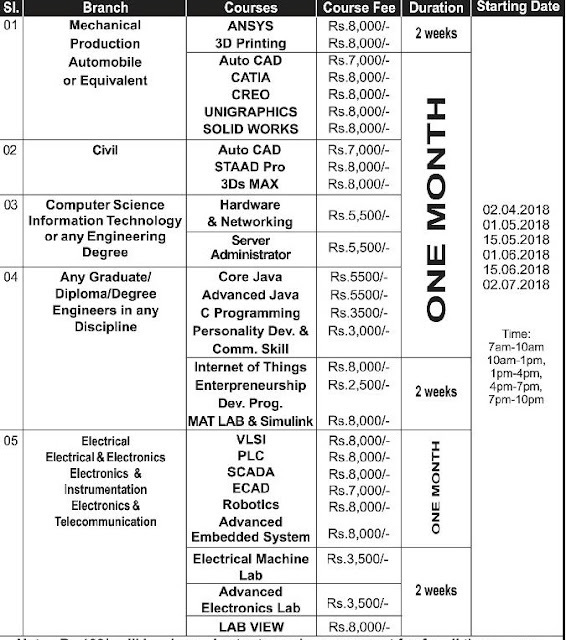 Central Tool Room & Training Centre (CTTC), Bhubaneswar invites application for Summer Course 2018-19 starting from the month of April. Candidates can register now for the courses. 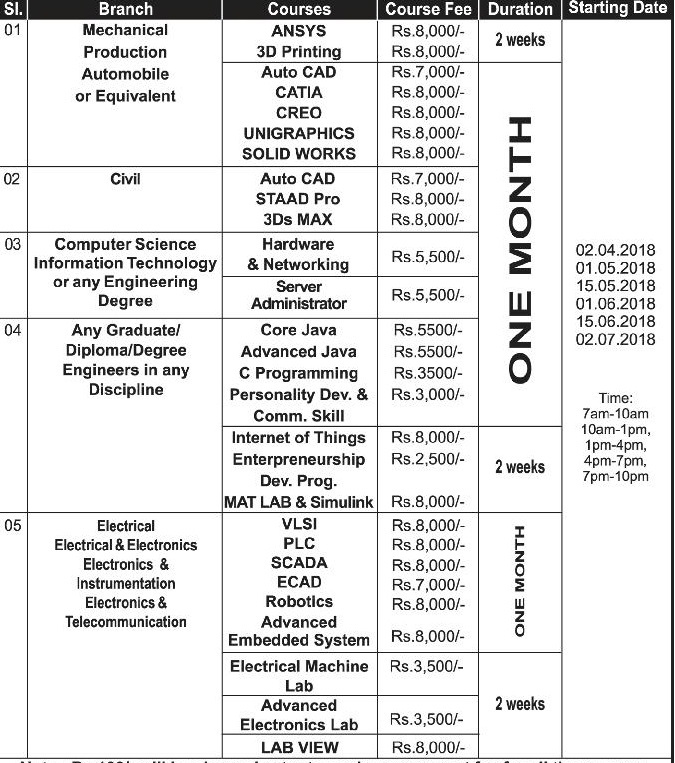 Courses will be offered during April/May/June/July 2018 specially designed for Mechanical/ Production/ Automobile/ Manufacturing Science/ Civil/ Computer Science/ Electrical & Electronics/ Electronics & Instrumentation/ Information Technology students. The duration of the course is one month or less. Interested candidates should apply as soon as possible. Different types of courses available in CTTC and the duration of the course is mentioned below. Note : Rs.100/- will be charged extra towards assessment fee for all the courses. Important : Those students attending SL.1 Course can avail free Summer Vacation in - Plant Training & do Project Work simultaneously (after or before training hours, as our centre works from 7.00 A.M. to 10.00 P.M. on all the weekdays). Discount of 10% for group of 10 students. Limited dormitory accommodation is available for interested participants on payment basis (per bed, per month will be Rs.1500/-). Interested and eligible candidates should submit their application in a plain paper along with Bio-data, copies of marksheet & certificates, two passport size color photographs and a Demand Draft" "DD" of Rs.1000/- drawn in favour of "Central Tool Room & Training Centre" payable at Bhubaneswar for the purpose of registration & the remaining course fee has to paid by DD at the time of admission. Candidates can also pay the fee by online through SBI Collect system. If you want to anything more about this course then call on the below given mobile numbers.